The Australian Ambassador of Germany cordially invites you to the opening evening! This year’s winner of the RMIT scholarship, Jordan Grant, will present a solo exhibition of paintings at the Australian Embassy. The exhibition will open on April 16, 2019, from 6:00 pm to 8:00 pm by Ambassador Lynette Wood. 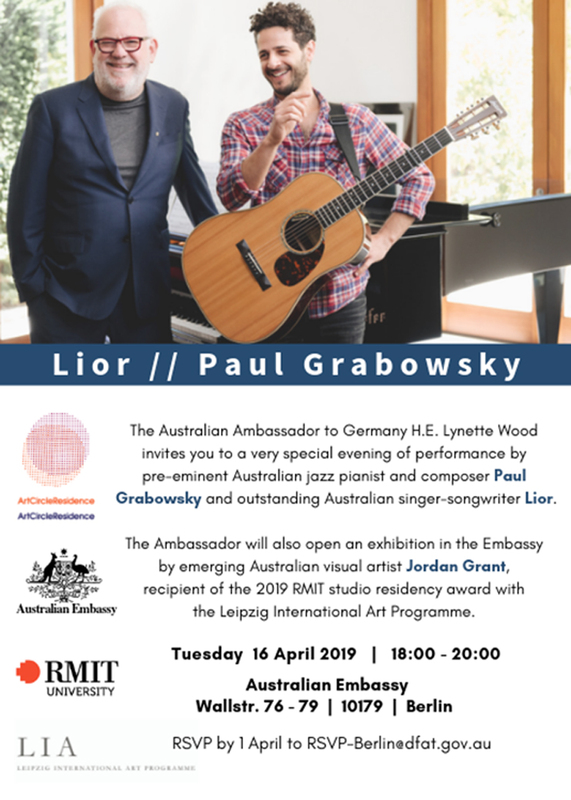 Two Australian artists, jazz pianist Paul Grabowski and singer-songwriter Lior, will perform a special cultural program this evening.